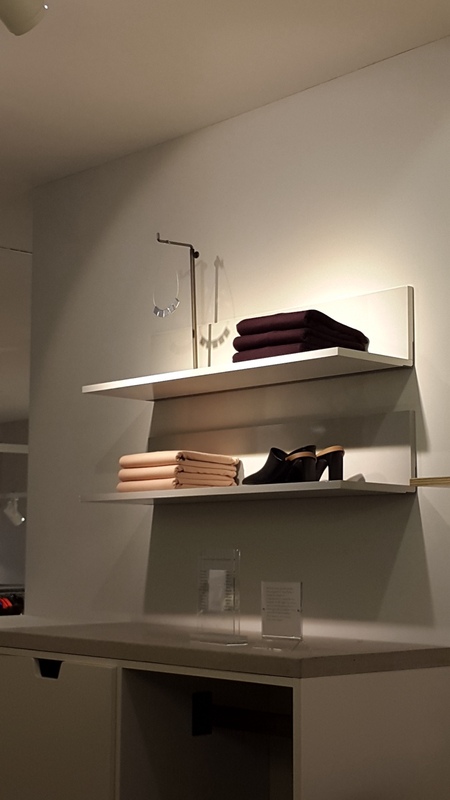 how to create a simple look for a night out? 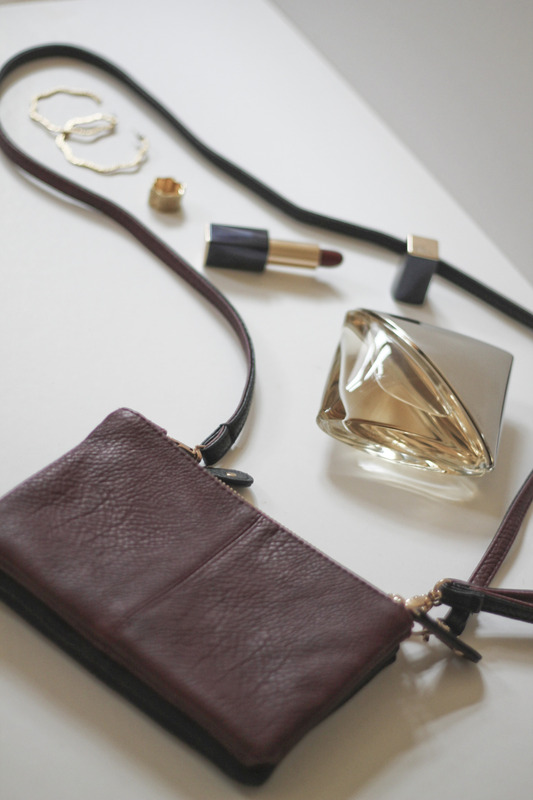 if you wanna look classy then I would decide on one color or one pattern and match the shoes handbag, jewelry and makeup. in my case I chose the JACQUARD pattern dress and therefore chose rather simple accessories and a very light and subtle makeup. 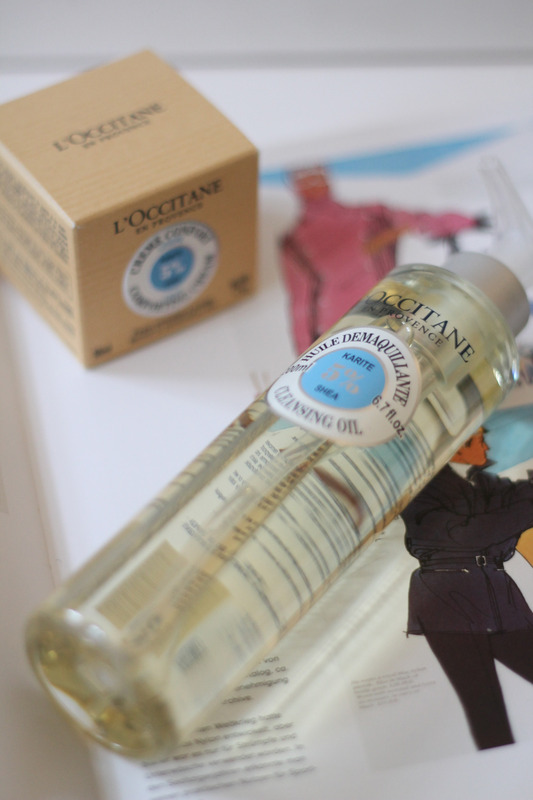 I am really looking forward to January 2015 as there will be new products by L’OCCITANE. I am super happy to be able to try these buggers now and I will let you know what I think about them as soon as I have used them. As I love cleansing oils I am looking very much forward to cleansing my face with the new Huile Demaquilante and pamper it afterwards with the lovely Crème Confort Légère. “when Olivier Baussan first learned of the unique properties of shea butter he found himself at an airport in Africa. very impressed by the history of this sacred tree whose nuts are harvested mostly by women, he gave up his first order for shea butter a few weeks later. at that time – about thirty years ago -the shea butter was sold only in local markets . since then, it has changed the lives of women in Burkina Faso. the solidarity partnership began with ten to twenty women- today over 15,000 women work in that sector. for L’Occitane Shea Butter has become a care component with cult status. it has paved the way to economic independence for the women of Burkina Faso. the international success is shared with the co-operatives in a sustainable and equitable partnership that makes the regional production of shea butter with the highest biological quality possible. 24 doors – 20 open and four to go! 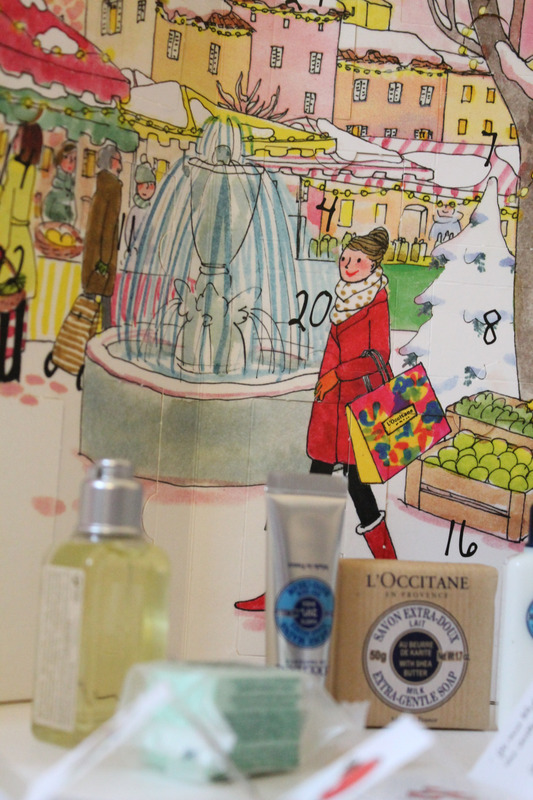 thank you L’Occitane for sending me this lovely advent calendar. I got something new to share with you. 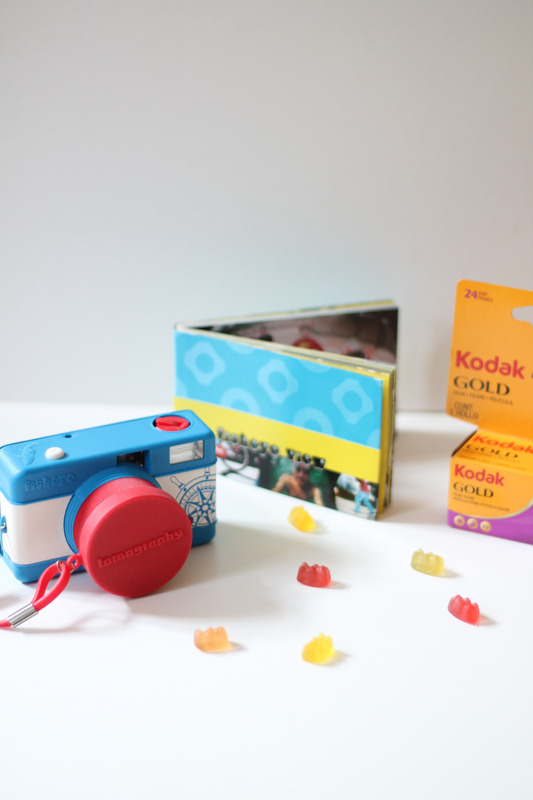 a tiny piece of plastic that makes me smile! 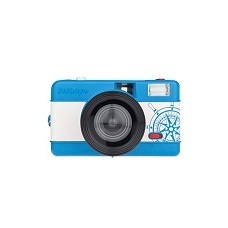 I am talking about the LOMOGRAPHY camera with the fisheye lense that I got via isda.ch. It has been a while since I have used a non digital camera and I am very excited to be using this analog LOMO camera and I can not wait to see the developed photos. as if life would only be that way. thats quiet a philosophical question to start a monday morning, isn’t it? anyway, good morning and let me share with you my black and white goodies! 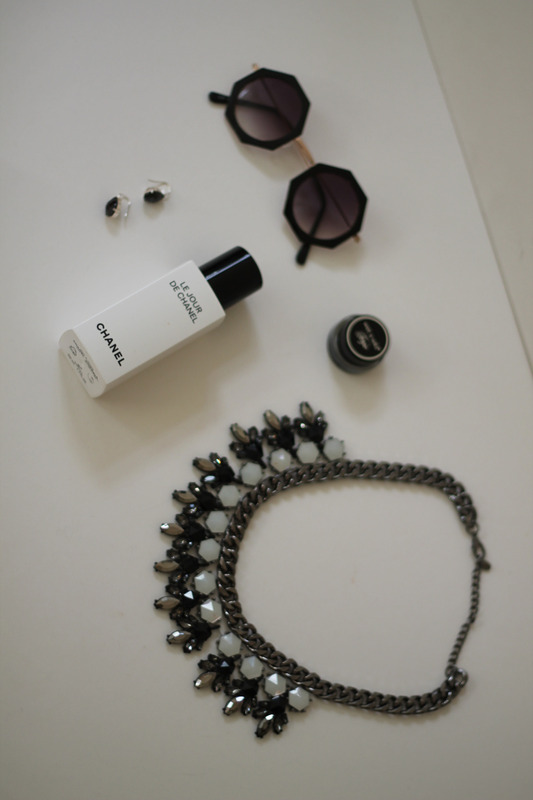 my newest and most favorite is the new black and white statement piece by B.SHOU. 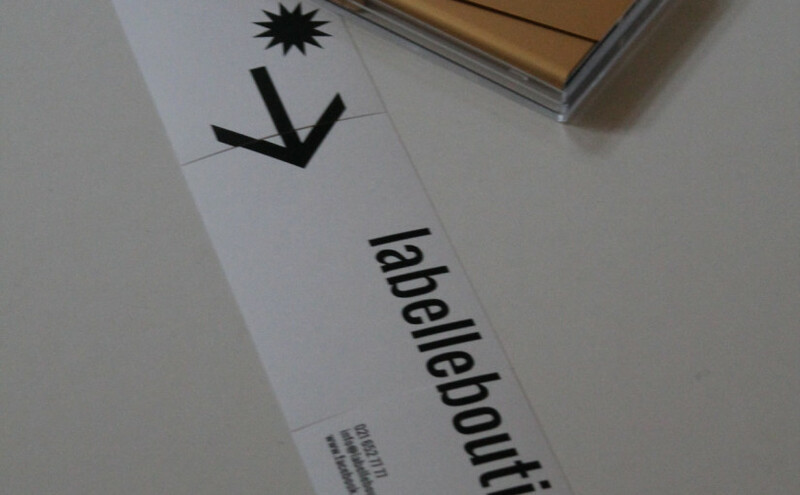 such an amazing swiss onlineshop. if you have not visited it yet, do it now by clicking on the B.SHOU link below. 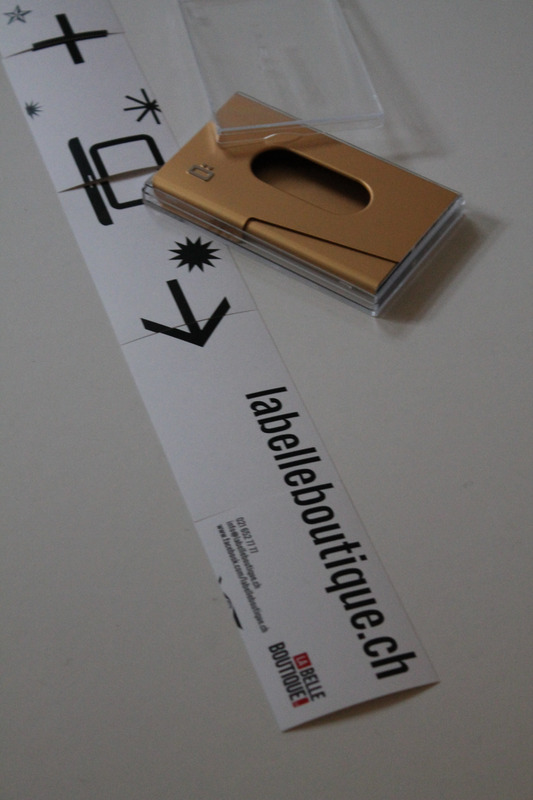 as some of you may already know I am also blogging for parfumerie24.ch where I review a product every week. 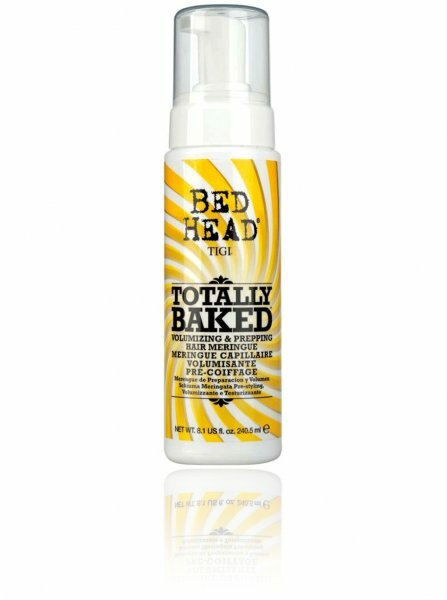 I am a huge fan of the TOTALLY BAKED hair styling mousse. I use this after I washed my hair and I apply it from the mid lengths to the ends and I seperate different pieces and try to form curls – then I either let them dry naturally or I blowdry my hair and wow! it gives me BIG hair and I dont have to wash my hair for at least three days! whenever I go somewhere where I can not wash my hair easily then I will make sure to use this product before my trip! I can not wait to place my first order. 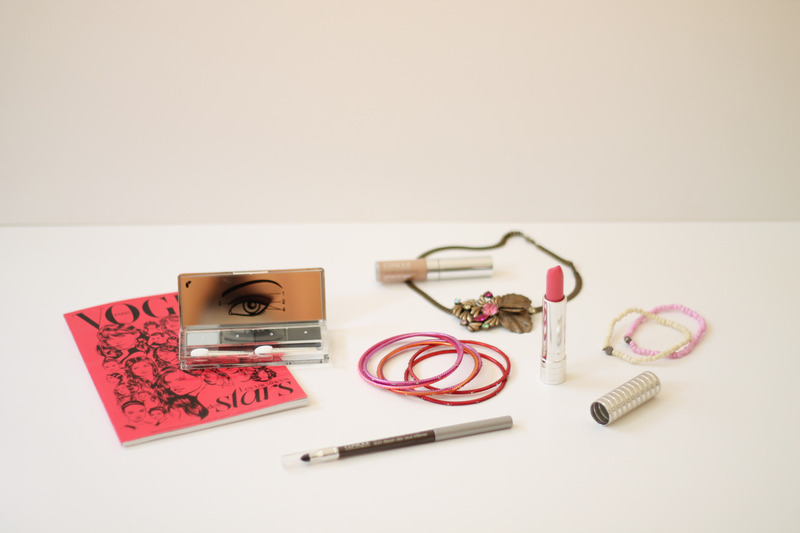 for sure I will buy something for the body, maybe a nice scrub or so and I will try to find a nice chubby stick blush! but I will keep you posted about my online shopping! I really like the smoke and mirror quad palette – a perfect thing to travel with as it has soft and more bold colors in different shades of grey. another favorite of mine is the long last soft matte lipstick – the color matte petal is absolutely beautiful – I could wear this color everyday! certain things that I have to use a bit more are the all about eyes eye primer – I have used it once and I liked it but I can not really tell you if I like it better than my other primers – I need a bit more time for that and I have not used the brown quickliner for eyes intense yet but actually I never had issues with pencils. 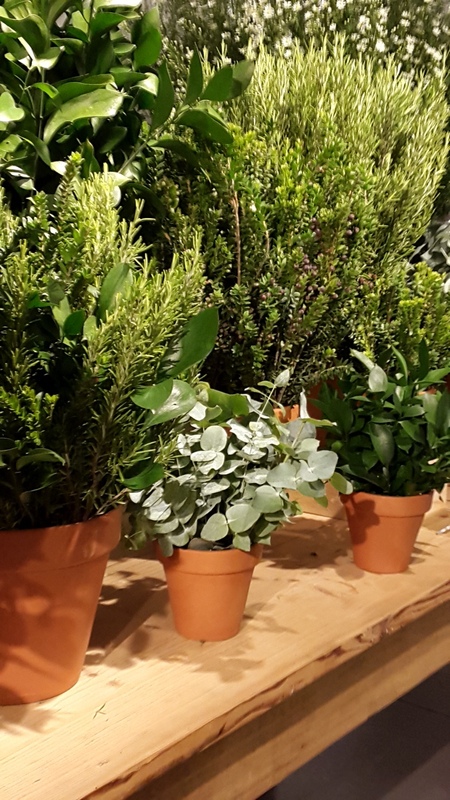 last night was the COS store opening in Zurichs Niederdörfli. the event was a blast! lots of fashionable, stylish people were invited and were given 30% discount for the whole COS collection. thats when the nightmare 🙂 began! last nights catering was directly sent from heaven! I didnt try anything because I am very picky with food – but my dear friend Dushka volunteered and tried all the different dishes and all of them were not only really delicious but also very creative and looked stunning! how to use it? distribute evenly through wet hair and lather. rinse thoroughly. repeat process if necessary. the Dual Split Ends Sealing Serum is made for all hair types. how to use it? 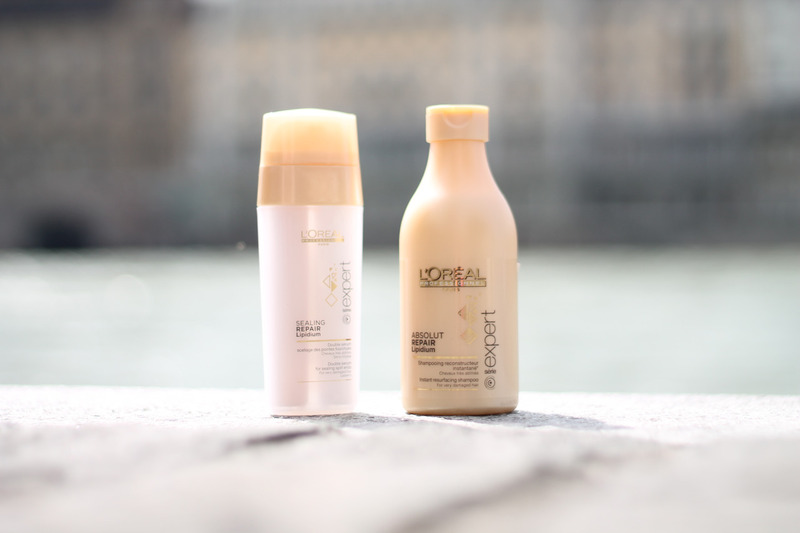 apply 1 to 2 pumps to dry hair from mid-lenghts to ends. flat iron or blow dry to seal hair giving long lastingness and smoothness. something new! let me introduce you to my new travelling wallet! 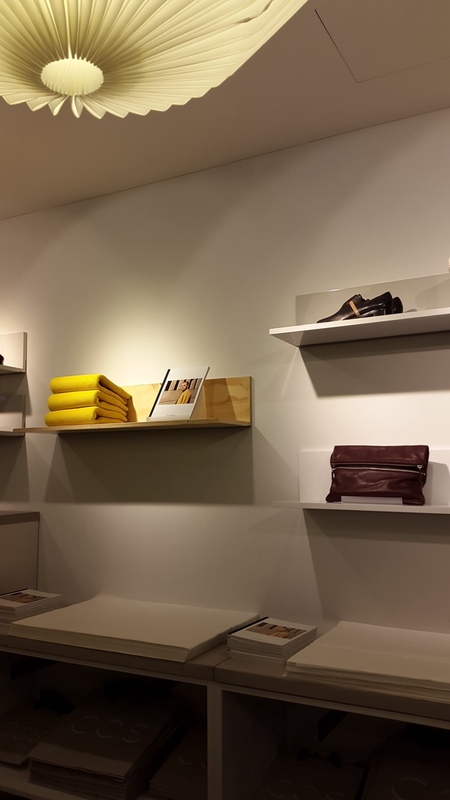 ÖGON is a french brand and has started with the simple cardholder wallets. there are so many different colors, shapes and options. 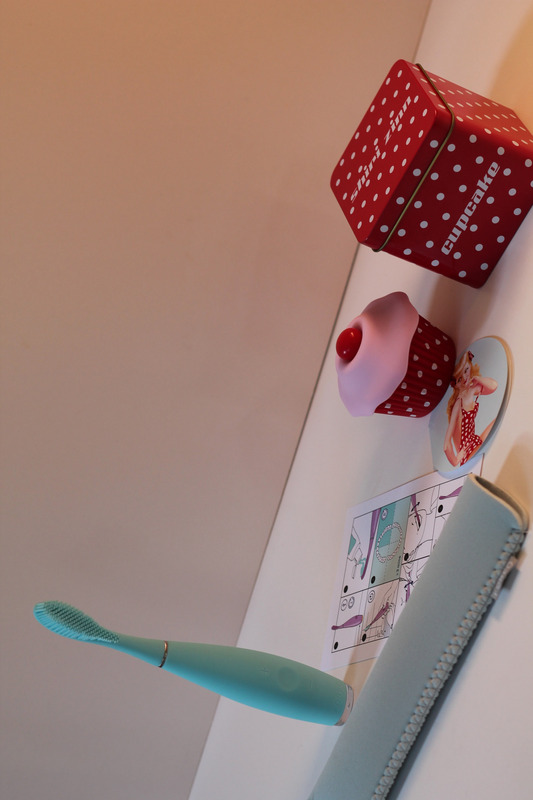 there are cardholder wallets, passport wallets and clutches. 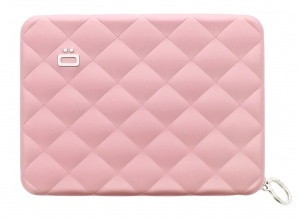 my favorite edition is the QUILTED one and I could not resist to get a pink QUILTED passport wallet. ÖGON uses aluminum for their cases and this also helps to protect my passport as nowadays passports have a lot of information that can be read without noticing it – so better be on the safe side and protect your passport. aaww.. I am a huge candlelover and when the candles are scented then its even better. I can easily get into a Christmas mood in the middle of summer. thats how much I love it. 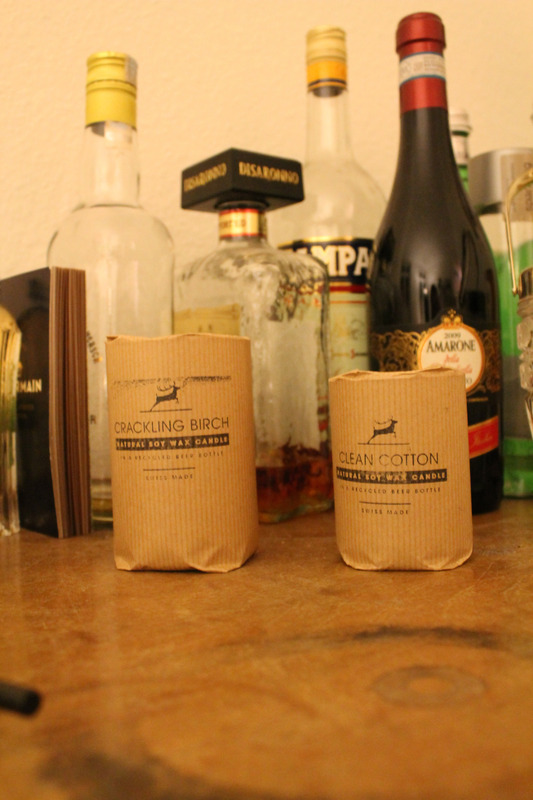 when I stumbled upon these lovely soy wax candles I just couldnt resist – perfect packaging – made out of beerbottles. I got a big candle (39 CHF) and a small one (34 CHF) in two different scents: CRACKLING BIRCH and CLEAN COTTON – and both are really really good. 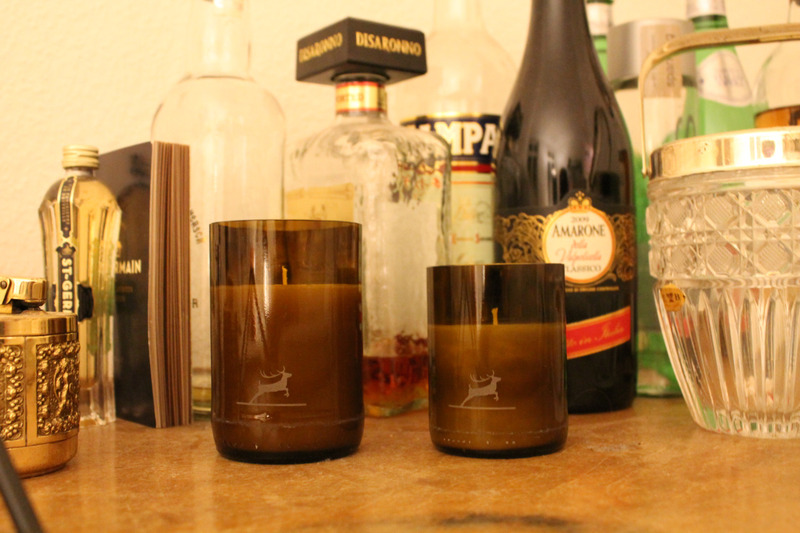 after being used as a candle these glasses can be used for drinking – such a smart idea! something new! Calvin Klein will launch its newest fragrance called REVEAL in September 2014, September, 15, 2014, to be precise. Solar Oriental is a new category and it combines the menly freshness with the warm curves of a lady. I absolutely love it. It is the perfect combination of sweet, fresh and floral.